Cork, Carlow, Dublin and Donegal were our destinations this week, with assessing Skills the focus everywhere we went. On Monday we were assessing skills and business plans of IBYE Young Entrepreneur of the Year assisting judges with the Cork and Waterford regional final judging. Winners were Joe Perrott, Conor Lyden and Conor Skuse all disrupting their markets with new digital solutions, who will be those going through the finals later this year. On the way home we inadvertently met Minister Jim Daly an ex colleague in training young people and had a catch up and discussed our role supporting assessing quality training in residential and homecare settings. On Tuesday we were the ones being assessed by our investors, Enterprise Ireland, to ensure our Veri Product road map was on target in terms of GRPD compliance, QQI QBS exports and mobile responsiveness, our Mentor Alan Kelly and the founders forum gave us some great direction and ensured we were all up to speed by the end of the lock in at the Gibson Hotel in Dublin. Irish Wheelchair Association were one of our first client’s and this week agreed a three-year contract as they re-engage with QQI and amalgamate their training services. 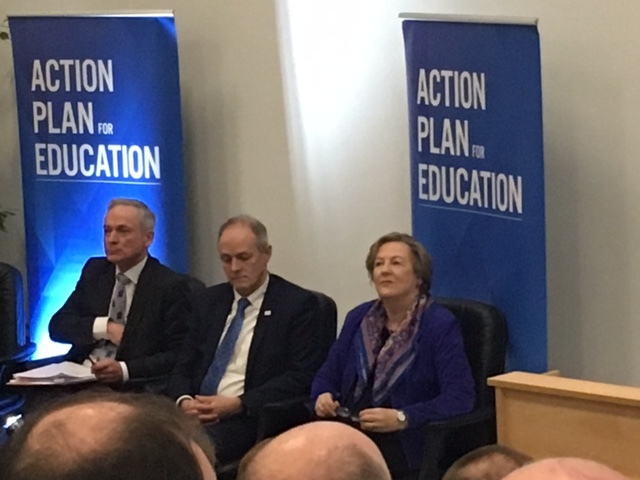 Minister Richard Bruton was at Carlow IT on Wednesday of our Tour of Ireland, with the South-east skills forum we attended a consultation on Action plan for education in the South East. Input was fantastic from Education, Industry and government, with Kilkenny colleagues, Ciphertechs Kilkenny, Cartoon Saloon and Local Enterprise Office Carlow all contributing. Mary Liz Tyrant from SOLAS facilitated a conversation that looked at Skills based learning, building bridges between work & education. 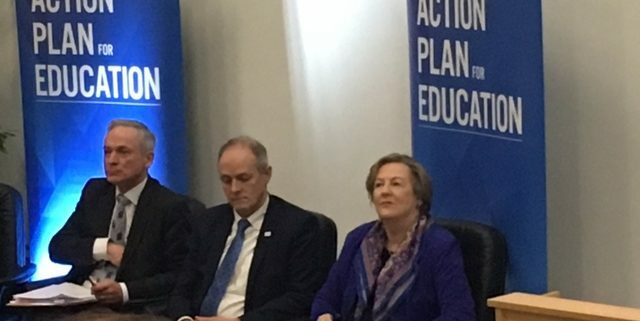 The 59 new apprenticeships were highlighted by industry panellists from Keenan Alltech and Cartoon Saloon and their innovation around delivery & training programmes in association with Higher Education in Netherlands and FET Traineeships with Kilkenny ETB. The assessment of LCVP and digital records of Skills based learning was one of the hot topics of the session. As an ex LCVP teacher that initiated a kernel of the VERI idea to measure skills. En Route to National Learning Network in Donegal on Friday we did a self-assessment session with Martha Mc Ginn Training, users of VERI for the past 4 months in advance of their first step of QQI re-engagement. Data Protection 2018 Countdown Google Adopt a Startup 2018 – Veri Returns!